His Highness Sheikh Sultan bin Mohammed Al-Qasimi has been the Ruler of Sharjah and its dependencies since 1972. He holds a Bachelor of Science in Agricultural Engineering from Cairo University, Egypt; a PhD with Distinction in History from the University of Exeter, UK; and a PhD in Political Geography from Durham University, UK. He is also a Member of the Supreme Council of the United Arab Emirates, the President of the American University of Sharjah, and the President of the University of Sharjah. He served as the UAE Minister of Education during 1971/1972. His Highness is known throughout the region as a firm believer in the significant role arts and culture play in connecting the minds and souls of people of the world. Toward this aim, he initiated the touring Sharjah Cultural Festivals, which bring aspects of Arab and Islamic arts and culture to cities around the world. His Highness has placed great emphasis on nurturing civic awareness, participation, and social responsibilities and has encouraged the establishment of many non-governmental organizations to promote social interactions between the communities and the government. His Highness has authored a number of important scholarly texts as well as plays, which have been translated into many languages. His Highness is the recipient of numerous honorary degrees from universities around the world. He has served as Honorary President of various organizations and associations, and is the recipient of numerous awards and medals. Kazuo Takahashi is currently the president of Liberal Arts 21 and the vice president of the Japan Association of Kyosei Studies. He served as a professor at the Division of International Studies, International Christian University, Tokyo, Japan. He was formerly the director of the International Development Research Institute of the Foundation of Advanced Studies on International Development in Tokyo and a visiting professor at the University of Tokyo, Japan. Takahashi served on various committees of the Japanese Government and international bodies, including the International Advisory Group for the World Bank, the World Commission on Water for the 21st Century, the Japanese Ministry of Health and Welfare, and the Earth Council and Club of Tokyo. Nicéphore Dieudonné Soglo was the President of the Republic of Benin from 1991 to 1996. He thus became the first democratically elected civilian leader of a nation in the history of the entire African continent. He played an active role in international affairs as the chairman of ECOWAS. In 2002, he was elected Mayor of Cotonou and was re-elected in 2008. During a 15-year tenure, starting from 1963, in the Benin Ministry of Finance, he rose to the position of Minister of Economy and Finance. He later became the Executive Director of the Central Bank of West African States, then the Executive Director of the Board of the World Bank in 1979, and he launched the bank’s efforts to promote economic development in Sub-Saharan Africa. He also played a major role in the creation of African Development Banks. Soglo was educated in France where he graduated from the Ecole Normale d’Administration and obtained degrees in French literature, as well as in private and public law. Vaira Vike-Freiberga is the president of Club of Madrid and the former President of Latvia from 1999 to 2007. She was instrumental in achieving membership in the EU and NATO for her country and was a Special Envoy on the UN reform. She has published extensively and is in great demand as a speaker. She is a member, board member, or patron of 30 international organizations, including the World Leadership Alliance, the Board of Trustees of the Nizami Ganjavi International Centre (co-chair), the European Council on Foreign Relations, as well as five academies. She chaired the High-Level Group on Freedom and Pluralism of Media in the EU in 2011/2012. In 2015, she was a member of two High-level groups on European security and defense. Vaira Vike-Freiberga is currently a member of the High-level Independent Team of Advisors to the UN Economic and Social Council Dialogue Process on UN development. Mehriban Aliyeva is Azerbaijan’s First Lady and a qualified doctor. She heads the Heydar Aliyev Foundation, established in May 2004. She has been a Member of the Political Board of New Azerbaijan Party since 2004 and deputy chairperson of the party since 2013. In 2006, she became the Goodwill Ambassador of ISESCO and Goodwill Ambassador of UNESCO for Oral and Musical Traditions in 2004. She founded Azerbaijan-IRS magazine in 1996, published in three languages (Azerbaijani, English and Russian), to promote the Azerbaijani culture. She received numerous awards, including the Officer Class of the National Order of Legion of Honor, France (2010); the Grand Commander’s Cross of the Order of Merit of the Polish Republic (2009); the Heydar Aliyev Prize (2009); and the World Health Organization Prize (2007). Aliyeva received a PhD in Philosophy in 2005. Rahma Bourqia is the first woman to have assumed the presidency of a Moroccan University and to be appointed in the Royaume Academy of her country. Bourqia is an expert on women’s rights in Morocco and the Arab World and a Visiting Professor in numerous American, European, and Arab universities. She is the Director of the National Authority of Evaluation of Education, Training and Scientific System at the Higher Council for Education since 2004. She is a Member of numerous boards, committees and commissions. She has received several awards, including the Decoration of the Royal Throne in 2006; the Middle East Award, Population Council, North Africa and East Asia Regional Office in 1990; and the Malcolm Kerr Award for Best Dissertation, the American Association of Middle East Studies in 1988. Bourqia published many works and articles on Morocco as a State, Moroccan culture and history, and women and youth. She has obtained a Doctorate in Sociology from Manchester University. Hisham El-Sherif is a leading authority on Telecommunications and IT in Egypt, the Middle East, and the developing world. He has been appointed as the Minister of Local Development in the Egyptian Government since February 2017. He has held numerous leading positions at Egyptian and international organizations, including Chairman of IT Investments, Founder and Chairman of Nile Online, and a Commissioner of the Washington-based Global Information Infrastructure Commission. He has been a Professor at the American University in Cairo since 1991. He co-founded the Egyptian Cabinet IDSC in 1985, and chaired its Advisory Board until 1999. He has also served as Chairman and Member on a number of boards, including the Advisory Board of the Egyptian Museum, Egypt Internet Society, the Children with Special Needs Initiative, and the US-Egypt President’s Council. He has received several awards, including the First Order Medal of Science and Arts in 1999, the World First Prize in Information Systems from SIM in 1988, and the French Knighthood in 1991. El-Sherif obatined his PhD in Business and Engineering from MIT. Federico Mayor Zaragoza is a Spanish scholar and politician. He is currently the Chairman of the Foundation for a Culture of Peace, which he created in 1999. He has been a professor of Biochemistry and Molecular Biology since 1963, and he was the former Rector of the University of Granada from 1968 to 1971. In 2005, the UN Secretary-General named him co-chair of the High Level Group for the Alliance of Civilizations; a post he held until November 2006 when the Group presented its final report in Istanbul. Zaragoza has held several other notable positions, including the Director-General of UNESCO, from 1987 to 1999; a member of the European Parliament, as of 1987; the Minister of Education and Science, from 1981 to 1982; and the Deputy Director-General of UNESCO in 1978. In addition to numerous scientific publications, he has published several poetry collections and essay collections. Nina V. Fedoroff, a geneticist and molecular biologist, is the Willaman Professor of Life Sciences and Evan Pugh Professor of Biology at the Huck Institutes of the Life Sciences, Pennsylvania State University. In 2007, she was appointed the Science and Technology Advisor to the US Secretary of State. In 2003, she became a Member of the External Faculty and Science Steering Committee of the Santa Fe Institute. Fedoroff is a Member of numerous scientific academies and a number of editorial boards, as well as international scientific boards and councils, including the Proceedings of the National Academy of Sciences, Science Magazine, Gene Journal, and the Plant Journal. She was honored as an Outstanding Contemporary Woman Scientist by the New York Academy of Sciences in 1992. She has published a number of books and papers in scientific journals. Fedoroff received her PhD in Molecular Biology from the Rockefeller University in 1972. She also co-chairs the European Union’s High-Level Panel on Dialogue between Cultures and Peoples in the Euro-Mediterranean Area, and she edited the Prodi Report in 2003. Hans van Ginkel was the rector magnificus of Utrecht from 1986 to 1997. He was also the rector of the United Nations University and Under Secretary-General of the UN in Tokyo from 1997 to 2007. He is currently an honorary professor of Human Geography and Planning at Utrecht University, the Netherlands; chair of the Board of the German Center for Development Research (ZEF, Bonn); chair of the Advisory Board of the Institute for Social Studies (ISS), The Hague; and a member of the International Advisory Board of the Graduate School on Sustainable Development, Kyoto University. He worked individually and with UNESCO on several initiatives on Higher Education, Sustainable Human Development, and Sustainable Urban Futures. He is also a member of the Academia Europea, a fellow of TWAS (The World Academy of Science for the promotion of science and technology in the developing countries), and a former member of the Social Science Council of the Royal Netherlands Academy of Arts and Sciences (KNAW). Van Ginkel has received 5 honorary doctorates, has been a Knight in the Order of the Netherlands’ Lion since 1994, and he received the Order of the Rising Sun, Grand Cordon, Japan, in 2007. He received the medal of the Chamber of Commerce of Utrecht, 1993, and the Golden Medal of the City of Utrecht, 1997, for his contributions to the preparation of the physical infrastructure plan for the central part of the Netherlands. 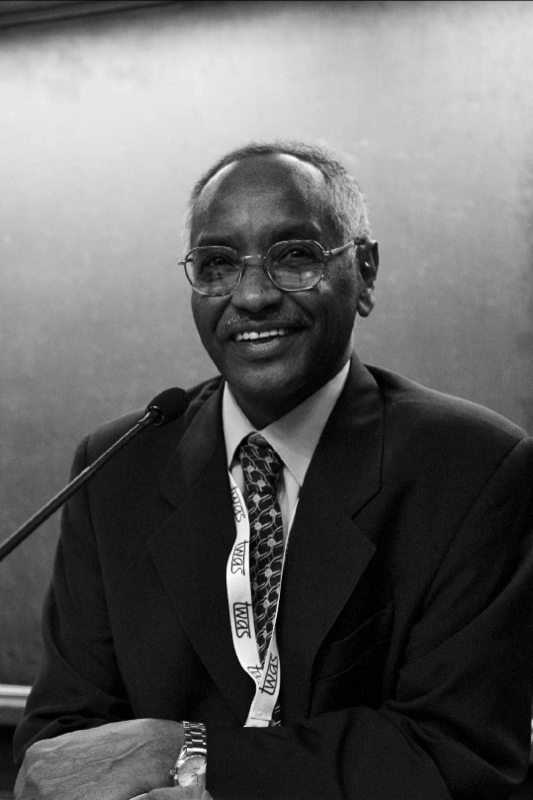 Mohamed Hag Ali Hassan is the President of the InterAcademy Partnership (IAP), Chairman of the Council of the United Nations University (UNU), and President of the Sudanese National Academy of Sciences (SNAS). He also serves on a number of boards of international organizations, including the Council of Science and Technology in Society (STS) Forum, Japan; the Board of the International Science Programme, Sweden; the Board of the Science Initiative Group (SIG), USA; and the International Advisory Board of the Centre for International Development (ZEF), Germany. After obtaining his DPhil in Mathematics from the University of Oxford, he returned to Sudan and became a professor at the University of Khartoum and was later appointed as the dean of the School of Mathematical Sciences. Hassan has a long list of publications in theoretical plasma physics, fusion energy, and the physics of wind erosion and dust and sand transport in dry lands. He also published several articles on science and technology in the developing world. He was a founding executive director of TWAS, the president of the African Academy of Sciences, and the chairman of the Honorary Presidential Advisory Council for Science and Technology, Nigeria. He has received several honors, including Comendator, Grand Cross, and National Order of Scientific Merit, Brazil, and Officer, Order of Merit of the Italian Republic. He is a member of several merit-based academies of science, including, TWAS, the African Academy of Sciences; the Islamic World Academy of Sciences; Academia Colombiana de Ciencias Exactas, Físicas y Naturales; Académie Royale des Sciences d’Outre-Mer, Belgium; the Pakistan Academy of Sciences; the Academy of Sciences of Lebanon; the Cuban Academy of Sciences; and the Academy of Sciences of South Africa. Bruno Racine is a French senior official and writer. He became the President of the French National Library in April 2007 until 2016. He joined the Cour des Comptes, the French national audit jurisdiction, in 1979, before being appointed in 1986 to the Cabinet of then Prime Minister Jacques Chirac. From 1988 to 1993, he was Director of Cultural Affairs of the city of Paris. In 1993, he headed the Centre d’Analyse et de Prévision at the Ministry of Foreign Affairs, before joining the Cabinet of then Prime Minister Alain Juppé. Racine headed the French Academy at the Villa Médicis in Rome from 1997 to 2002, before being appointed Chairman of the Pompidou Centre, from 2002 to 2007. In 2011, he was elected Chairman of the Conference of European National Librarians (CENL). A distinguished author, Racine has written many books. In 2008, he was awarded the Officer of the Legion of Honor merit. Fayza Aboul Naga has been the National Security Advisor to the Egyptian President since November 2014. She was the first female Minister of State for Foreign Affairs and International Cooperation in Egypt and the Arab World in 2001. In 2004, she was appointed as the Egyptian Minister of International Cooperation. Before joining the Egyptian Cabinet of Ministers, she was a Permanent Representative of Egypt to the United Nations in Geneva from 1999 to 2001; Deputy Vice-Minister of Foreign Affairs for African Affairs from 1997 to 1999; and Political Advisor and Special Assistant to the Secretary-General of the United Nations, Dr. Boutros Boutros Ghali from 1992 to 1996. She is a member of a number of policy-making ministerial committees. She is also a member of the Policy Advisory Committee of the World Intellectual Property Organization. Aboul Naga obtained a Diploma in Public Administration from the Institut International de l’Administration Publique of Paris in 1977, and a Master’s degree in Political Sciences from the University of Geneva in 1989. Bruce Alberts was awarded the United States National Medal of Science in 2014. He has served as Editor-in-Chief of Science from 2008 to 2013 and as one of President Obama’s first three United States Science Envoys from 2009 to 2011. From 2000 to 2009, he served as the co-chair of the InterAcademy Council, an organization in Amsterdam established to provide scientific advice to the world and governed by the presidents of 15 national academies of sciences. Alberts holds the Chancellor’s Leadership Chair in Biochemistry and Biophysics for Science and Education at the University of California, San Francisco, to which he returned after serving two six-year terms as the president of the National Academy of Sciences (NAS). Alberts is noted as one of the original authors of The Molecular Biology of the Cell, a preeminent textbook in the field, now in its sixth edition. He has earned many honors and awards, including 16 honorary degrees. He currently serves on the advisory boards of more than 20 nonprofit institutions, including the Gordon and Betty Moore Foundation and the Strategic Education Research Partnership (SERP). Hossam Badrawi is an eminent Egyptian physician and a well-known politician. He chaired the OB/GYN department in Cairo University’s Medical School in 2009/2010. He is a trailblazer of the private health care sector with his distinguished vision for health care financing, management, and provision. He chairs the Badrawi Foundation for Education and Development, a non-profit family foundation working for human development in Egypt. He initiated, and is Honorary Chair of ENCC. He currently serves on the boards, committees, and councils of numerous institutions and non-profit organizations. He chaired the PNoWB/MENA chapter, an initiative developed with the World Bank from 2003 to 2006. He also chaired the Egyptian Parliament Committee that legislated the law of establishing the Bibliotheca Alexandrina, Law No. 1 of 2001. Badrawi is considered a leader of education reform in Egypt. In 2007, he received an honorary PhD in Science from Sunderland University, UK, and an honorary fellowship from the Cardiff Metropolitan University in Wales, UK, in 2014, for his outstanding work in higher education in the Middle East. Walter Fust has been the president of Globethics.net since 2008, and he is the chairman of the board of the Global Crop Z Trust and of the African Innovation Foundation. He is a member of UN CEPA and a board member of different philanthropic foundations. Fust joined the Swiss Diplomatic Service in 1975. He also served as the CEO/Director-General of the Global Humanitarian Forum, Geneva, from 2008 to 2010; the chairman of the International Programme for the Development of Communication Council, UNESCO, from 2008 to 2010; a member of the Advisory Board of the UN ECOSOC, from 2005 to 2007; the head of SDC from 1993 to 2008; and the Secretary-General of the Ministry of Interior from 1990 to 1993. He was a member of the International Forum of Federations, Ottawa; and a member of IRGC, Geneva. Fust has received numerous international honors and awards. He studied at St. Gallen University and obtained an MA in Political Science. HRH Prince El Hassan bin Talal is currently working with American NGOs on a program titled “Partners in Humanity”, ultimately aiming to improve understanding and build positive relationships between the Muslim World and the United States. In March 2009, HRH chaired the Integrity Council for the Global Commons. In June 2003, HRH was elected as one of the Independent Eminent Experts group, appointed by the UN Secretary-General, to implement the Declaration and Program of Action of the World Conference against Racism, Racial Discrimination, Xenophobia and Related Intolerance that took place in Durban, South Africa. HRH chairs, and is a member of, a number of international committees and organizations. HRH served as Chairman of the Policy Advisory Commission for WIPO from 1999 to 2002, and was a member of the South Centre Board from 2001 to 2006. HRH has received numerous national and international medals, awards, and honorary degrees. HRH also wrote several books. HRH graduated from Oxford with a BA in Oriental Studies, followed by an MA. Michael Keller is the Ida M. Green University Librarian at Stanford University and the director of Academic Information Resources. He is the founder of HighWire Press and the publisher of the Stanford University Press. He has been a guest professor at the Chinese Academy of Sciences and a Senior Presidential Fellow of the Council on Library and Information Resources. He is a member of the Committee on Research Integrity of the National Research Council and the National Academy of Sciences. He had also previously served on two other NRC committees. He is the co-founder and was co-chair of the Preservation and Archiving Special Interest Group, which is co-sponsored and operated by Sun Microsystems and Stanford University, from 2007 to 2012. He was the chairman of the External Advisory Board of the Research Library, Los Alamos National Laboratory, and he chaired the Executive Committee of the National Digital Library Federation. Keller is currently the chair of the consortium of the International Image Interoperability Framework. He is an elected Lifetime Fellow of the American Association for the Advancement of Science and the American Academy of Arts and Sciences. He is a Sarum Canon and was awarded the Order of the Cross of Terra Mariana of the Republic of Estonia. He has served on numerous profit and not for profit boards in the USA and internationally, including that of his alma mater, Hamilton College, where he obtained his BA in 1967. He obtained his MA in 1970 and his MLS in 1972 from the State University of New York. Gunnar Stålsett is a Norwegian theologian and politician. He was the leader of the Centre Party from 1977 to 1979, General Secretary of the Lutheran World Federation from 1985 to 1993, and Bishop of Oslo in the Church of Norway from 1998 to 2005. He is the Honorary President of Religions for Peace and a former member of the Norwegian Nobel Committee. He also received the Niwano Peace Prize in 2013 in appreciation of his global efforts in the fields of peace and human rights. Adel El-Beltagy is currently the Chair of the International Dryland Development Commission (IDDC). He is also a professor at the Arid Land Agricultural Graduate Studies and Research Institute (ALARI) at Ain Shams University, Cairo, a board member of the World Academy of Sciences (TWAS), and a member of the Technical Advisory Committee (TAC) of the Commission on Science and Technology for Sustainable Development in the South (COMSATS). El-Beltagy is the former Egyptian Minister of Agriculture. Additionally, he chaired a number of national and international organizations, including the International Centre for Advanced Mediterranean Agronomic Studies (CIHEAM), the Global Forum on Agricultural Research (GFAR) from 2006 to 2010, the International Center for Agricultural Research in Dry Areas (ICARDA), and the Scientific/ Technical Council of the International Sahara and Sahel Observatory (SSO) from 1993 to 2002. El-Beltagy was the vice chair of the Board of the Global Crop Diversity Trust (GCDT) from 2007 to 2011, a member of the FAO High-Level Committee addressing the implementation of the UN millennium development goals (MDGs) from 2006 to 2011, and a board member of the UN Millennium Ecosystem Assessment Board from 2004 to 2005. He was also a member of the CGIAR Change Steering Team from 2007 to 2008, and a council member of the Consultative Group on International Agricultural Research (CGIAR) from 2006 to 2011. He is also a foreign member of the National Academy of Sciences of Kazakhstan, Azerbaijan, Tajikistan, Kyrgyzstan, Georgia, and Russia. He received numerous honors and awards, such as the Golden Medal of CIHEAM in 2015 and the Sultan Qaboos ‘First Class’ Order for Culture, Sciences, and Arts in 2009. He has also authored and co-authored numerous scientific publications. Baroness Susan A. Greenfield, CBE and FRCP, is a research scientist, author, and broadcaster based in Oxford. She has held research fellowships in the Department of Physiology, Oxford; the Collège de France, Paris; and NYU Medical Center, New York. Since then, she has been awarded 32 Honorary Degrees from British and international universities. In 2000, she was elected to an Honorary Fellowship of the Royal College of Physicians. Further international recognition of her work include the ‘Golden Plate Award’ in 2003 from the Academy of Achievement, Washington; the National Order of the Legion of Honor in 2003 as well, from the French Government; and the 2010 Australian Medical Research Society Medal. She has recently held a Visiting Professorship at the Medical School, University of Melbourne, Australia for the month of November 2014, 2015, and now 2016. She currently holds a Senior Research Fellowship at Lincoln College, Oxford University. She is the founder and CEO of a biotech company (www.neuro-bio.com), which is developing a novel anti-Alzheimer drug based on her research exploring novel brain mechanisms linked to neurodegeneration. Vartan Gregorian has been the President of the Carnegie Corporation of New York since 1997. He is on the advisory board of USC Center on Public Diplomacy and the Brookings Doha Center. He is also a Member of the Editorial Board of the Encyclopedia Britannica and numerous other international foundations. He was the Founding Dean of the Faculty of Arts and Sciences, University of Pennsylvania in 1974; and the provost in 1978. From 1981 to 1989, he was the President of the New York Public Library. In 1989, he was appointed President of Brown University, where he served until 1997. He has also authored, among other works, The Emergence of Modern Afghanistan, The Road to Home: My Life and Times, and Islam: A Mosaic, Not a Monolith. Gregorian received his PhD in History and Humanities from Stanford University in 1964. He is a recipient of numerous fellowships and many civic and academic honors, including over sixty honorary degrees. Mounir Neamatalla is an Egyptian environmentalist. He is the Founder and President of EQI, a private consulting firm established in 1981 providing services in three core areas: Policy and Governance, Environment and Natural Resources, and Enterprise Development and Finance of SMEs. Five services are provided in support of these three areas, namely: Socioeconomic Research, Management Advisory Services, Environmental Management and Design, Agricultural Resource Management, and Media and Communication. EQI’s mission is to contribute to the growth and development of Africa and the Middle East through sustainable improvements in the living conditions of the peoples of the Region. 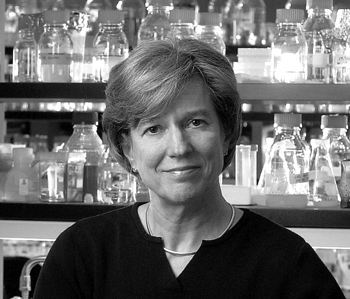 Neamatalla obtained a Bachelor and a Master’s degrees in Chemical Engineering from the University of Wisconsin, Madison, 1970 and 1971, respectively. He obtained his PhD in Environmental Health and Quality Management from Columbia University, New York, 1976. Lourdes Arizpe is a social anthropologist. She is currently a Professor-Researcher at the Regional Center for Multidisciplinary Research, of the National University of Mexico. She is a Member of the Committee for the Development Policy of the Economic and Social Council at the UN and Coordinator of the Research Planning Committee, and she has been President of the Board of the United Nations Research Institute for Social Development since 2006. Lourdes Arizpe has held several notable international positions, and received numerous international awards. She has a biennial award in her name in the American Anthropological Association. She is the author of many research books and member of editorial boards of several professional journals in Colombia, Mexico, UK, and USA. She acquired an MA in Anthropology from the National School of Social Anthropology and History in 1970, followed by a PhD in Social Anthropology from the London School of Economics and Political Science in 1975. Julia Marton-Lefèvre is a member of a number of boards focused on environment, development, education, and good governance. She Chairs the Executive Committee of the Tyler Prize for Environmental Achievement and the Advisory Board of the Sustainable Biosphere Partnership. Her other board memberships include the Geneva-based Graduate Institute of International and Development Studies, Oxford University’s James Martin School, the Global Institute of Sustainability (Arizona State University), the Prince Albert II of Monaco Foundation, Bioversity International, the Turkana Basin Institute, and the Institute for Sustainable Development and International Relations (IDDRI). Her past positions include the director general of the International Union for Conservation of Nature (IUCN), the rector of the UN-affiliated University for Peace, and the Executive Director of LEAD International and of the International Council for Science. Marton-Lefèvre is a Chevalier de la Légion d’Honneur of France, Chevalier dans l’Ordre de Saint-Charles of Monaco, and a recipient of awards from Hungary and the Republic of Korea. She is the Edward P. Bass Distinguished Visiting Environmental Scholar at Yale University and a member of the World Academy of Art and Science and the World Future Council. Mamphela Ramphele is a South African academic, businesswoman, and medical doctor who was an anti-apartheid activist. She is the Executive Chair of Letsema Circle, and Chair of Convenors of the Dinokeng Scenarios. She was recently appointed Chair of the Technology and Innovation Agency. She was the former Managing Director of the World Bank from 2000 to 2004, and Co-Chair on GCIM from 2004 to 2005. In 1996, she became Vice-Chancellor of the University of Cape Town, becoming the first black female to hold this position at a South African University. She is the author of many important titles on critical socio-economic issues in South Africa. She has received numerous prestigious national and international awards, including numerous honorary doctorates. Ramphele holds a PhD in Social Anthropology, University of Cape Town; a BCom degree in Administration, University of South Africa; and diplomas in Tropical Health and Hygiene and Public Health, University of Witwatersrand. 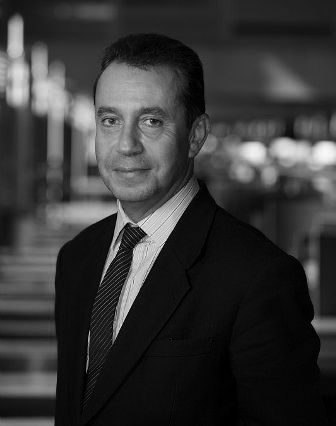 Ghassan Salamé is the Dean of the Paris School of International Affairs (PSIA), and a professor of International Relations at Sciences-Po in Paris, and at Columbia University, New York. He studied Law at Saint Joseph’s University and Paris University. He obtained a PhD in Humanities and a PhD in Political Sciences from Paris University. Salamé was the Senior Advisor to the United Nations Secretary-General, from 2003 to 2006, and a Political Advisor to the UN Mission in Iraq in 2003. He was Lebanon’s Minister of Culture from 2000 to 2003, the Chairman and Spokesman of the Organization Committee for the Arab Summit in March 2002, and of the Francophone Summit in October 2002, in Beirut. He presently serves on the board of the International Crisis Group (Brussels) and sits on the boards of numerous international institutes and non-profit organizations. He is the founding chairman of the Arab Fund for Arts and Culture. He is the author of many books and his essays have been His essays have been published in Foreign Policy, Revue française de science politique, European Journal of International Affairs, The Middle East Journal and other international journals. Martti Ahtisaari was the President of Finland from 1994 to 2000; Nobel Peace Prize Laureate and United Nations diplomat and mediator. Upon leaving the office, he founded an organization known as Crisis Management Initiative in which he currently chairs. Over the past 30 years, he worked with the UN on a variety of issues, including Horn of Africa, Iraq, Kosovo and Namibia. He serves on the boards of many international councils and foundations. In October 2008, Martti Ahtisaari was awarded the Nobel Peace Prize. He was also awarded an honorary degree by University College, London; the 2007 UNESCO Félix Houphouet-Boigny Peace Prize; and the J. William Fulbright Prize for International Understanding in recognition of his work as a peacemaker in 2000. He graduated from the University of Oulu, Finland, in 1959. Assia BenSalah Alaoui is the Ambassador-at-Large of His Majesty the King of Morocco. She is a world renowned specialist in international economic law, and an expert on food security, strategic studies and the Mediterranean area. Assia BenSalah Alaoui serves on a variety of committees for Near-Eastern peace and on a number of boards of trustees of international organizations and think-tanks. Alaoui was a Professor of International Law and Director of Studies at the Centre for Strategic Studies at University Mohammed V in Rabat. She has written extensively on diverse topics. She wrote a number of publications, including Climate Change and Arab Food Security (2010) and Global Security, the Financial Crises and Food Security (2009). Kiyoshi Kurokawa, MD, graduated from the Faculty of Medicine, University of Tokyo. He was a professor of medicine at the School of Medicine of UCLA and the University of Tokyo. He was also the dean of the School of Medicine at Tokai University, the president of the Science Council of Japan, a Science Advisor to the Prime Minister, a WHO Commissioner, and the chairman of Fukushima Nuclear Accident Independent Investigation Commission (NAIIC). Kurokawa is an adjunct professor, National Graduate Institute for Policy Studies; the chairman, Health and Global Policy Institute and Global Health Innovative Technology Fund; and a member of the World Dementia Council. Michael M. Cernea is a Research Professor of Anthropology and International Affairs at George Washington University. He has a PhD in sociology and social philosophy, has taught and lectured at US, European and Asian universities; in China, he was appointed Honorary Professor of Resettlement and Social Sciences at Hohai University in Nanjing, China. He served for nearly two decades as the World Bank’s Senior Adviser for Sociology and Social Policy, and on CGIAR’s Science Council and Technical Advisory Committee from 1998 to 2003. In 1991, Cernea was elected to the Academy of Sciences, Romania. He is the recipient of the Solon T. Kimball Award for Public Policy and Applied Anthropology from the American Anthropological Association, and the Bronislaw Malinowski Prize from the international Society for Applied Anthropology. He has written and edited numerous books and studies on development, social change, population resettlement, social forestry, grassroots organizations, and participation. Jean-Noël Jeanneney is a French historian and politician. He taught contemporary history at the Institute of Political Studies in Paris from 1977 to 2011. He was the president of both Radio France and Radio France Internationale, and he served twice as Secretary of State in François Mitterrand’s government. He headed the committee for the celebration of the bicentennial of the French Revolution, and he was the chairman of the National Library of France between March 2002 and April 2007. Jeanneney has many published works, including L’Histoire va-t-elle plus vite ? : Variations sur un vertige, 2001; Clemenceau: portrait d’un homme libre, 2005; Quand Google défie l’Europe: plaidoyer pour un sursaut, 2005; a play titled L’un de nous deux, 2009; Jours de guerre: 1914–1918, 2013; and L’Histoire, la liberté, l’action, 2013. Roelof Rabbinge is a University Professor Emeritus in Sustainable Development and Food Security at Wageningen University in the Netherlands. Rabbinge was the chair of the Inter-Academy Panel on Food Security and Agricultural Productivity in Africa and a member of the Board of Directors of the Alliance for a Green Revolution in Africa (AGRA). He served in different posts in Academia, cooperative private companies, and in politics. He holds degrees in phytopathology, entomology, theoretical production ecology, and philosophy of science from Wageningen University. He is currently a Special Envoy for Food Security in the Netherlands Ministry of Economic Affairs and Foreign Affairs. Rhonda Roland Shearer is an American sculptor, scholar, and journalist who has pioneered the development of both digital publishing and interdisciplinary scholarship. She has been a co-principal investigator for NASA’s Astrobiology Magazine since 2005 (Astrobio.net); the director of the Art Science Research Laboratory (co-founded with the late Stephen Jay Gould), New York City, since 1996; and the publisher and Editor-in-Chief of the Media Ethics online news journal (iMediaEthics.org) since 2004. Shearer was an Associate of Harvard University’s Department of Psychology from 1998 to 2000 and an Adjunct Lecturer at the School of Journalism and Mass Communication at the University of Iowa from 2010 to 2013. Her interdisciplinary research has resulted in more than 200 articles, reports, and lectures at leading universities on the historical importance of new geometries in the history of art and science, and on news media ethics. Shearer held numerous solo exhibitions between 1986–1994 at museums and at the Wildenstein Gallery in New York and London. Ahmed Kamal Aboulmagd is an Egyptian constitutional lawyer, politician, and Islamic scholar. He is considered to have made significant contributions to modern Islamic philosophy. He is a Professor of Law at Cairo University, Egypt; a practicing lawyer in the fields of constitutional and administrative law; a member of the Royal Moroccan Academy; a Member of the Islamic Research Academy at Al-Azhar; and a Member of the National Council for Women. He is the former Vice-President of the National Council for Human Rights in Egypt and the former Minister of Information. In 2001, he co-authored a document, endorsed by the UN General Assembly, titled Crossing the Divide: Dialogue among Civilizations. He wrote several books and articles on legal philosophy, constitutional law, and Islamic reforms, including Dialogue Not Confrontation and A Contemporary Islamic Viewpoint. Abdelatif Al-Hamad graduated from Claremont College with Honors in 1960 and the Harvard International Affairs Program in 1962. Following his studies in the USA, he served as a member of the Kuwaiti delegation to the United Nations during its application for admission in 1962. Since the early 1960s, he has been highly active in promoting economic and social development, particularly in the Arab world. In this capacity, he has held several important posts, including the director of the South and Arabian Gulf Society from 1963 to 1981; the director of the Assistance Authority for the Gulf and Southern Arabia from 1967 to 1981; the chairman of the United Bank of Kuwait from 1966 to 1981; and the executive director of the Arab Fund for Economic and Social Development from 1972 to 1981. He was the Minister of Finance and the Minister of Planning of Kuwait from 1981 to 1983. 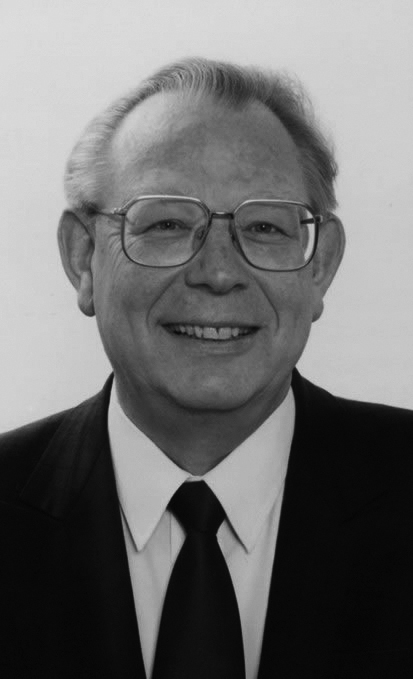 He also served as a member of numerous commissions and boards, including the Brandt Commission from 1977 to 1980; the United Nations Committee for Development Planning as a member and as the chairman from 1982 to 1991; the South Commission, from 1987 to 1989; and the Commission on Global Governance in 1992. He was also the deputy chairman of the International Institute for Environment and Development from 1976 to 1989. He has recently arranged the printing of the CGG report, Our Global Neighborhood, in Arabic. Al-Hamad is currently the director general and chairman of the Board of Directors of the Arab Fund for Economic and Social Development; a member of the International Finance Cooperation (IFC) Banking Advisory Board Group (World Bank); a member of the board of the Kuwait Investment Authority; a trustee of the Arab Planning Institute; the chairman of the Development Committee Task Force on Multilateral Development Banks; and a member of the Board of Directors of BlackRock. Hanan Ashrawi is a Palestinian legislator, an activist, and a scholar. She is the Founder and Chairperson of MIFTAH. She is a Member of the Board of Trustees of the Institute for Palestine Studies. She was a Member of the Palestinian Prime Minister Salam Fayyad’s Third Way Party. She was the Palestinian Authority Minister of Higher Education and Research from 1996 to 1998. She headed the Preparatory Committee of the Palestinian Independent Commission for Citizens’ Rights in Jerusalem from 1993 to 1995. She served as the Official Spokesperson and Member of the Leadership/Guidance Committee and Executive Committee of the Palestinian Delegation to the Middle East Peace Process from 1991 to 1993. She is the recipient of numerous international peace, human rights, and democracy awards; and honorary degrees. Ashrawi received her BA and MA degrees in Literature from the American University of Beirut. She obtained a PhD in Medieval and Comparative Literature from the University of Virginia. Jacques Attali is a French professor and writer. He is an Honorary Member of the Council of State in France. He is currently the CEO of A&A, an international consulting firm based in Paris specializing in new technologies; and President of PlaNet Finance. He is an Editorialist for the L’Express magazine. He was a Member of the Universal Academy of Cultures. During the period from 1991 to 1993, he founded and became first President of the European Bank for Reconstruction and Development in London. He was the Special Advisor to the President of the Republic from 1981 to 1991. He founded Action Against Hunger in 1980, and the European program Eurêka. He has received honorary doctorates from several foreign universities. He has written more than 50 books that have been translated into more than twenty languages. Attali has a Doctorate in Economics and is a graduate of Ecole Polytechnique, Ecole des Mines, Institut d’Etudes Politiques and Ecole Nationale d’Administration. Margaret Catley-Carlson, a Canadian civil servant, is the Chair of the World Economic Forum Global Agenda Council on Water Security, the Foresight Advisory Committee for Group Suez Environment, the Canadian Water Network, the UN Secretary General’s Advisory Board, the Rosenberg Forum, and Patron of the Global Water Partnership. She is also Board Chair of the Global Crop Diversity Trust, Board Member of the International Fertilizer Development Council, and Member of the Advisory Council of the World Food Prize and the Syngenta Foundation. She has chaired CABI and the Board of the ICARDA. In 1984, she was appointed to the Board of Governors of the IDRC. She received a Bachelor degree of Arts from the University of British Columbia in 1966. Farouk El-Baz is a research professor and the director of the Center for Remote Sensing at Boston University. He obtained a PhD in geology from the University of Missouri in 1964, after conducting research at the Massachusetts Institute of Technology (MIT). From 1967 to 1972, El-Baz joined NASA’s Apollo program as the supervisor of the Lunar Science Planning, the secretary of the Apollo Landing Site Selection Committee, the chairman of the Astronaut Training Group, and the principal investigator for Visual Observations and Photography. From 1973 until 1982, he established and directed the Center for Earth and Planetary Studies, National Air and Space Museum, Smithsonian Institution, Washington, DC. He was also selected by NASA as the principal investigator for Earth Observations and Photography on the Apollo-Soyuz Test Project. He became the Vice-President for Science and Technology at Itek Optical Systems, until he joined Boston University in 1986. El-Baz served as the science advisor to the late Egyptian President Anwar Sadat from 1978 to 1981. He is a member of the Board of Trustees of the Geological Society of America (GSA) Foundation, a member of the Lunar Nomenclature Group of the International Astronomical Union (IAU) and the US National Academy of Engineering, the chair of the US National Committee for the International Union of Geological Sciences (IUGS), and the president of the Arab Society of Desert Research. He received numerous honors and awards, including NASA’s Apollo Achievement Award and exceptional Scientific Achievement Medal, the Nevada Medal, and the Egyptian Order of Merit (First Class). Vigdís Finnbogadóttir, the fourth President of the Republic of Iceland who served from 1980 to 1996, was the first female in the world to be elected as constitutional Head of State. She studied literature and theatre in Paris and in Copenhagen. Prior to becoming President she was the Artistic Director of the Reykjavík Theatre Company (Leikfélag Reykjavíkur), later the City Theatre from 1972 to 1980. Currently, she is a UNESCO Goodwill Ambassador, a Member of the Club of Madrid, and an Honorary Member of the Women’s Rights Association in Iceland. She was one of the founders of Save the Children Association in Iceland, the first Chair of the World Commission on the Ethics of Scientific Knowledge and Technology (COMEST) at UNESCO from 1997 to 2001, and the Founding Chair of the Council of Women World Leaders in 1996. Finnbogadóttir has received many honors and awards, and honorary doctorates from various universities in the world. Hans-Peter Geh has been the President of the European Foundation for Library Cooperation and Emeritus Director of the Württembergische State and University Library in Stuttgart. He is also a Member of the International Commission for the Revival of the Ancient Library of Alexandria. Geh held numerous positions in German libraries, and literary associations and institutions, as well as international organizations. He served as President of IFLA from 1985 to 1991. He also served as a co-editor of national and international journals. Geh studied history, political science, and English literature at the Universities of Franfurt am Main and Bristol. He received his library education and training at the City and University Library of Frankfurt am Main and at the College of Librarianship in Cologne. Tahar Ben Jelloun is a Moroccan poet and writer. Although his native language is Arabic, he is one of the greatest contemporary writers in the French language. He received numerous awards for his works, including the Prix Goncourt for his novel, La nuit sacrée, in 1987; the IMPAC Dublin Literary Award for his novel, The Blinding Absence of Light in July 2004; the Prix Ulysse for the entirety of his work in 2005; and a special prize for “Peace and Friendship between People” in 2006. In February 2008, Nicolas Sarkozy awarded him the Cross of Grand Officer of the Légion d’Honneur. He received his Doctorate in Social Psychiatry in 1975. His novels L’enfant de sable and La nuit sacrée were translated into 43 languages. Le racisme expliqué à ma fille has been translated into 33 languages. Yolanda Kakabadse served as the Minister of Environment for the Republic of Ecuador from 1998 until 2000. She was the NGO Liaison Officer for the United Nations Conference for Environment and Development (the Rio Earth Summit) in 1992, coordinating the participation of civil society organizations in the conference. She was also the president of the World Conservation Union (IUCN) from 1996 to 2004. In 1979, she was appointed as the executive director of Fundacion Natura in Quito, where she worked until 1990. In 1993, she founded Fundacion Futuro Latinoamericano. She served as its executive president until 2007, and she is currently its senior adviser. She also chaired the Scientific and Technology Advisory Panel (STAP) of the Global Environment Facility (GEF) from 2005 to 2008. Kakabadse has been the president of WWF International since January 2010. Luis Monreal is the General Manager of the Aga Khan Trust for Culture. He is a conservation specialist, art historian and archeologist. He assumed many posts throughout his career, including Secretary General of the International Council of Museums ICOM from 1974 to 1985; Director of the Getty Conservation Institute in Los Angeles, from 1985 to 1990; Director General of La Caixa Foundation in Barcelona, from 1990 to 2001; and was a member of various archeological missions in Nubia, Sudan, Egypt and Morocco. Monreal is the author of several books and numerous articles on art and archeology. He is a board member of the Gala-Salvador Dalì Foundation (Spain), a member of the Royal Academy of Fine Arts (Barcelona, Spain), Commandeur de l’Ordre des Arts et des Lettres (France) and Gran Cruz de Isabel la Católica (Spain). Adele Simmons is the President of the Global Philanthropy Partnership. She coordinated efforts to develop Midwest strategies to reduce greenhouse gas emissions, co-chaired the taskforce that developed the 2010 Climate Action Plan for the City of Chicago, and is a member of the task force that prepared, and is implementing, Sustainable Chicago 2015. She works with the Urban Sustainability Director’s Network, which includes sustainability officers from 124 cities in the US and Canada. Simmons is currently on the boards of numerous organizations, including the Field Museum, the Chicago Council on Global Affairs, the Union of Concerned Scientists, CERES, the Synergos Institute, the American Prospect, the Weil Foundation, and the Environmental Defense Action Fund. She promotes global giving by helping to strengthen the infrastructure that assists global donors. She is also the editor of Global Giving Matters for Synergos. Simmons was the President of the John D. and Catherine T. MacArthur Foundation between 1989 and 1999. She has served on several commissions, including President Bush’s Commission on Sustainable Development, the Commission on Global Governance, the World Economic Forum’s Global Redesign Initiative, and the UN High Level Advisory Board on Sustainable Development. She also served as a member of the board of Marsh and McLennan, Inc. from 1977 to 2015. She served as the President of Hampshire College, a dean and senior officer at Princeton and Tufts universities and was a member of the Harvard Board of Overseers. She received her BA from Harvard and PhD from Oxford. She has lived in Mauritius, Kenya and Tunisia, where she served as The Economist correspondent for North Africa. Wole Soyinka, Akinwande Oluwole, is a Nigerian writer, poet, and playwright. In 1986, he became the first African writer to be awarded the Nobel Prize for Literature. Soyinka is currently the Elias Ghanem Professor of Creative Writing at the English Department of the University of Nevada, Las Vegas, and the President’s Marymount Institute Professor in Residence at Loyola Marymount University, Los Angeles, California, USA. In 1994, he was the designated Goodwill Ambassador of the UNESCO for the promotion of African culture, human rights, freedom of expression, media, and communication. Monkombu Sambasivan Swaminathan, an agriculture scientist, is known as the “Father of the Green Revolution in India”. He has been described by the United Nations Environment Programme as “the Father of Economic Ecology”. He was listed in TIME magazine’s 1999 list of the twenty most influential Asians of the 20th century. He currently holds the UNESCO Chair in Ecotechnology at the MS Swaminathan Research Foundation in Chennai, India. Swaminathan is a Fellow of various leading scientific academies in India and around the world, including the Royal Society of London. He is the recipient of numerous national and international awards and distinctions, and he has received many honorary doctorate degrees from universities around the world. Kazuo Takahashi is currently the president of Liberal Arts 21 and the vice president of the Japan Association of Kyosei Studies. He served as a professor at the Division of International Studies, International Christian University, Tokyo, Japan. He was formerly the director of the International Development Research Institute of the Foundation of Advanced Studies on International Development in Tokyo and a visiting professor at the University of Tokyo, Japan. He serves on various committees of the Japanese Government and international bodies, including the International Advisory Group for the World Bank, the World Commission on Water for the 21st Century, the Japanese Ministry of Health and Welfare, and the Earth Council and Club of Tokyo. Leila Takla, is an Egyptian Professor of Law and Management and a Legal Consultant. She is the first female to be elected President of the Foreign Relations Committee in the Egyptian Parliament, the first Arab female elected to the Executive Committee of the Inter-Parliamentary Union, and the first female ever to be elected as the chairperson of one of the Union’s sessions. She was elected for three terms as the President of the Board of Trustees of the UN Technical Cooperation Programs. She is also a member of numerous national and international boards and committees. She authored a number of books, and she is a writer and political analyst for the Al-Ahram Daily newspaper. Carl Tham was the Swedish Ambassador to Germany from 2002 to 2006, and he was a member of the Swedish parliament from 1976 to 1982. He held several positions in the Swedish government through the years, including the Minister of Energy from 1978 to 1979 and the Minister of Education and Science from 1994 to 1998. Tham was the Director-General of the SIDA for more than ten years, and he served on many public commissions and committees. He was the Chairman of the board of the Swedish Institute of Future Studies in Stockholm from 1999 to 2006. He was also a member of the task force on higher education convened by UNESCO and the World Bank, the co-chairman of the Independent International Commission of Kosovo. He was awarded the United Student Unions of Sweden (SFS) Equality Award for his work on gender equality in Swedish universities. Marianna Vardinoyannis is a UNESCO Goodwill Ambassador promoting programs for the protection of children; founder and president of the Marianna V. Vardinoyannis Foundation; and founder and president of the Elpida Association of Friends of Children with Cancer. Inspired by motherhood, she has built up an extensive record of humanitarian work for the benefit of children and disadvantaged social groups in Greece and abroad. She has also worked on issues of peace, education, health and cultural heritage. She is a board member of the Mentor International against drugs, the Light from Africa Foundation, and other organizations. Vardinoyannis has supported many educational institutions in the USA and in Europe, and she funded the establishment of the “Alexandria Center for Hellenistic Studies” at the BA. She supports UNESCO programs for education and culture in several parts of the world as well as at schools in Greece. For about 25 years, she has been fighting against childhood cancer through the Elpida Association; more than 780 children from Greece and the Mediterranean region have been cured of cancer. She holds a BA in History of Art and in Economics; MPhil in Archaeology; and Honorary Doctorates in Law, Philosophy and Human Studies. William Wulf is a university professor and AT&T professor of Engineering and Applied Sciences at the Department of Computer Science, the University of Virginia. He is also a member of numerous national and international academies and societies. He held several posts throughout his career, including President of the National Academy of Engineering in 1997, and Assistant Director of the National Science Foundation from 1988 to 1990. In 1981, he founded Tartan Laboratories and was the Chair and Chief Executive Officer until 1988. He became an Assistant Professor of Computer Science at Carnegie Mellon University in 1968, then was appointed as an Associate Professor in 1973 and a Professor in 1975. Wulf has a Bachelor in Engineering Physics, and a Master’s in Electrical Engineering from the University of Illinois. He obtained a PhD in Computer Science from the University of Virginia in 1968. Umberto Eco was an Italian medievalist, semiotician, philosopher, literary critic and novelist. He was the President of the Scuola Superiore di Studi Umanistici, University of Bologna, and an Honorary Fellow of Kellogg College, University of Oxford. He was voted 2nd in Prospect magazine’s 2005 global poll of the world’s top 100 intellectuals. He had written over 25 published novels, including The Name of the Rose (1980) and Foucault’s Pendulum (1988). He also wrote academic texts, children’s books, and many essays. He co-founded Versus: Quaderni di studi semiotici (VS), an influential semiotic journal. He had a number of honorary doctorates from Universities around the world and 16 literary awards and decorations. Stephen Jay Gould was an active Founding Member of the Board of Trustees of the Bibliotheca Alexandrina and was deeply committed to the ideals of rationality and ecumenism. He was a prolific writer and producer of scientific ideas, many that challenged theories about the mechanisms by which life has evolved and continues to evolve. He was one of the most well-known writers in science and among the few practicing scientists who had a continuing string of bestsellers on science for the general public, while remaining actively engaged with the most serious aspects of advancement of science. Abd Al-Aziz Hegazy, former Egyptian Prime Minister, was a certified public accountant, auditor and management consultant in Egypt and the Arab World. He was a Visiting Professor at Ain Shams University and a Member of the Advisory Council of a number of private universities. He was a Member of the Governing Board of the Center for Global Energy Studies in London and the Chairman of a number of cultural forums in Egypt and Jordan. He served as the Chairman of the NGOs Union in Egypt. He was the Deputy Prime Minister and the Minister of Finance, Economy, and Foreign Trade in 1974; the Minister of Treasury, Finance, and Management Development from 1968 to 1973; and the Dean of the Faculty of Commerce, Ein Shams University from 1966 to 1968. He has received a number of national and international awards. He is the author and co-author of a number of publications in the fields of economics and finance. Hegazy received his PhD in Commerce from the University of Birmingham, UK, in 1951. Anne-Marie Lizin was the first female President of the Belgian Senate. Throughout her career, she assumed many posts in the Belgian Senate, including Quaestor from 2007 to 2009; President from 2004 to 2007; Directly Elected Member in 1999 and 2003; and Appointed Senator from 1995 to 1999. She was also a Member of the Chamber of Representatives from 1991 to 1995; State Secretary for European Affairs from 1988 to 1992; and Mayor of Huy from 1983 to 2009. She also served on the assemblies, boards, and committees of several international institutions. She received numerous awards, including the Grand-Croix de l’Ordre de Léopold II (2007); Héros de la Liberté, Hungary (2006); Chevalier de l’Ordre de la Légion d’Honneur, France (2005); and Commandeur de l’Ordre de Léopold (2003). She graduated in Economics from the Université de Liège in 1971. Moeen Qureshi, was an economist, political figure, and the Chairman and Managing Partner of EMP Global LLC. He served on several corporate and public service boards. He was the Acting Prime Minister of Pakistan for a period in 1993. He also assumed several positions at the World Bank, first as a Senior Vice-President for Finance and Chief Financial Officer of the Bank from 1980 to 1987, then a Senior Vice-President for Operations from 1987 to 1991. He was the Vice-President of the International Finance Corporation from 1974 to 1977, and its Executive Vice-President and Chief Operating Officer from 1977 to 1981. He also worked with the International Monetary Fund from 1958 to 1970. He chaired and was an advisor to several international institutions, commissions, and committees dealing with international and public affairs. Qureshi obtained a Bachelor and an MA in Economics, University of Punjab, and a PhD in Economics, Indiana University. Ahmed Zewail was the Linus Pauling Chair Professor of Chemistry and Professor of Physics at the California Institute of Technology (Caltech). He was the Director of the Moore Foundation’s Center for Physical Biology at Caltech. He served on President Obama’s Council of Advisors on Science and Technology, and as the President’s Science Envoy to the Middle East. He was an elected Member of numerous international academies and learned societies. He was the Director of the National Science Foundation’s LMS and was awarded the 1999 Nobel Prize for his pioneering developments in femtoscience. He was a Founding Member of the BA Board of Trustees from 2001 to 2005. Zewail obtained a PhD from the University of Pennsylvania and a postdoctoral (IBM) fellowship from the University of California, Berkeley.